I was born in Beirut, Lebanon to an Egyptian born father and Armenian mother, came to the US in 1970 and moved to Queens. Growing up in Flushing, New York, my childhood activities took their toll on my spine and joints not to mention my parents’ bank account with ER visits. As a pharmacist, my father’s first response to any ailment was 1,000 mg of Tylenol and sleep. I knew there had to be more to health than masking a symptom. After graduating Xavier High School, I began pre-med at New York University and learned pretty quickly that the medical model was not for me. My mother was a licensed Massage Therapist and her outlook on health and life intrigued me much more than then the “sickness” model that was so evident in the medical world. 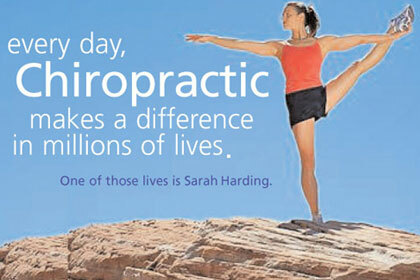 I had treatments from many different Chiropractors and had always seen wonderful results. So I finished my undergraduate studies St. John’s University and continued to New York Chiropractic College where I got my Doctor of Chiropractic Degree in 1993. Upon graduating, I worked for a Chiropractor, Dr. Louis Savas, on the Upper West Side in Manhattan, who had been practicing for over 50 years and was a master at spinal manipulation. 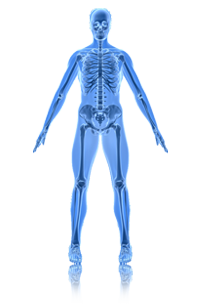 His “Savas System” as it became known, was a whole-body, full-spine approach to spinal adjusting that went beyond pain management and was more thorough than any other technique that I had been introduced to. We were treating such a diverse population; from actors and dancers to firemen and politicians. It was an incredible learning experience. In 1995, I realized I wanted to practice on my own and treat patients with the most up to date, evidence-based practices that chiropractic has to offer. I looked in Long Island City and Sunnyside but I love the diversity and depth of Astoria and LIC, so I opened an office in the old Boulevard Hospital building on 31st Avenue. I speak Armenian, some French, and can understand some Spanish which caters well to my patient’s various ethnicities. Unfortunately, my father never taught me enough Arabic to converse. I moved to Steinway Street for a few years and then to my current location in 2001. Astoria Chiropractic incorporates Massage Therapy, Physical Therapy and Acupuncture to offer the best care for our patients. I strive to care for every patient as though they were part of my family. I am active in my Armenian Church and am a member of the committee which runs and operates AGBU Camp Nubar, a non-profit, Armenian, resident summer camp in Upstate NY.